After a long time I am posting another one which is related to jQuery and HTML5. 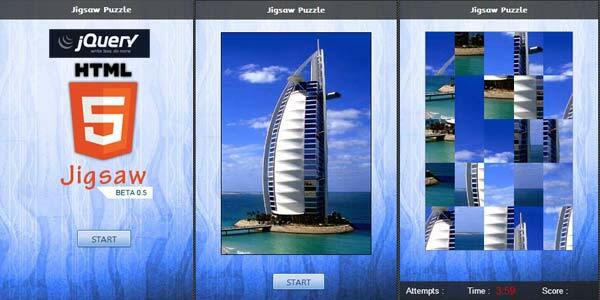 I have created a Jigsaw puzzle using Kineticjs and jQuery 1.9. Please have a look. Demo: Open this link for demo.